TheraTogs, Inc. is a privately held company devoted to excellent standards of care worldwide for the management of movement, stability, orthopedic, and developmental disorders through neuromuscular and postural training. We design and manufacture customizable physical rehabilitation systems for both children and adults that are worn comfortably under clothing to provide ongoing therapy all day every day. TheraTogs were developed and brought to market in September 2002 by inventor Beverly (Billi) Cusick, PT, MS, a respected clinician and teacher with over 35 years experience in the field of pediatric neuromotor rehabilitation. Ms. Cusick’s motivation was simple: she wanted a way to ‘send her hands home’ with her clients, a way to support compliance and carry-over of her clinical efforts. Beverly (Billi) Cusick PT, NDT, MS, COF is an internationally-known pediatric physical therapist whose specialty is the management of lower extremity deformity, particularly in children with cerebral palsy, hypotonia, orthopedic malalignments, and other CNS deficits. She is known particularly for her passion, her diligence in bringing current developments in the rehabilitation sciences, her methods for obtaining and using precise and relevant patient observations, and for sharing informed and effective management strategies. After five-years of R&D, her company, Progressive GaitWays, launched her invention, TheraTogs, in 2002. She and her spouse, Lee Taylor, co-founded TheraTogs, Inc. in 2006. Ms. Cusick, received her BS in PT from Bouve College at Northeastern University (Boston) and her MS in Clinical and College Teaching for Allied Health Professionals from the University of Kentucky in Lexington. She remains on call as an Associate Professor for the Rocky Mountain University of Health Professions – Pediatrics Program – Provo, Utah, and is NDT basic- and baby-trained. Ms. Cusick worked for 9 years on staff at Children’s Rehabilitation Center (now the Kluge Center) in Charlottesville, VA. She then taught pediatrics-related courses for 3 years as a member of the PT Education faculty of the College of Health Related Professions at MUSC in Charleston, SC. In Charleston, she also initiated and directed PT services for the Division of Developmental Disabilities at the Medical University of South Carolina. Since 1977 she has written or co-authored numerous publications- texts, journal articles, and chapters, and has conducted more than 400 courses, keynotes lectures, and guest presentations all over the world. Since 1993, Billi has been consulting and practicing privately in Telluride, Colorado, where she devotes most of her professional effort to generating literature and educational materials, to teaching, and to developing therapeutic products, including new TheraTogs systems. Lee has over 30 years of business experience in executive and operations management, information design, and information development, and was a published author on Web technologies “back in the day” before the programmers and filmmakers took over. He has managed purchasing and facilities for a major global law firm; consulted with Fortune 500 clients on information development and delivery systems; managed technical writers, editors, and illustrators. Lee has also enjoyed brief stints as a Kelly® Girl temporary, a college English instructor, and a volunteer Program Manager for the groundbreaking InfoZone community network project of the Telluride Institute – the first rural/small community Internet point-of-presence in the US. He is a co-founder of TheraTogs, Inc. and has served as its CEO since the company’s opening. The spouse of fellow co-founder Beverly (Billi) Cusick, Lee is also a co-founder of two previous start-ups (both of which are still up and running) in the training and event management realms. Lee also serves on the board of the University Centers of the San Miguel and on the San Miguel County Planning Commission. Lee enjoys traveling frequently in the spring and fall to watch their daughter play soccer. Since acquiring a BA in Kinesiology and Applied Physiology 15 years ago at the University of Colorado (Boulder), Mrs. Finnoff has not had one work day go by without using her degree! Colleen’s early work experience included sales positions with Bionx Bioabsorbable Implants, Johnson & Johnson’s Mitek products, and Integra NeuroSciences, where she loved being a part of surgical procedures entailing the brain. After a brief entrepreneurial phase as the founder of a Post Rehab personal training studio – which included bringing Core Barre classes to the Boulder area – Colleen found her home with TheraTogs almost nine years ago. Colleen started as TheraTogs’s original National Sales Manager, then helped establish the company’s Clinical Support team in 2008, where she provides technical support to clinicians using TheraTogs world-wide. She also manages the company’s Loaner Program, by which clinicians can use no-cost “loaner” systems to trial TheraTogs on specific clients. When the outdoors calls her name, Colleen can be found enjoying activities through all four seasons, putting her anatomical, physiological, and biomechanical knowledge to work through Nordic skiing, mountain biking and road cycling, running trails, backpacking or just enjoying a colorful Colorado sunrise with a good, strong cup of joe! Design Studio in Durango for eight years, and then as a business administration and tax consultant to businesses in the retail, construction and farm industries as well as for government and non-profit organizations. Sylva joined the TheraTogs team in May of 2016, and in her free time, she enjoys knitting, gardening, and playing with her family and beloved Bernese Mountain Dog in the great outdoors of Western Colorado. Ms. Figaro holds a B.A. in Speech Communications and a minor in Marketing and Psychology from the University of Nevada, Reno. She has several years of experience in leading marketing teams, developing business strategies, brand management, event planning and digital marketing. She began working in the mental health field in 2006 traveling the western half of the U.S. as the Regional Director of Business Development, during which time she also dedicated her personal time to serving as a mentor and writing articles on topics such as healthy body image and self-acceptance. Her fearless attitude and passion to create change has provided more business and growth opportunities for each company she has represented. Overall, her success can be attributed to the strong long-term business relationships she has developed and nurtured in the past decade. Her reputation is one of honor, hard work and honesty. Melanie’s constant goal is to live as her authentic self, be of service to her community, and most importantly, be a part of a company that improves the lives of children and their caregivers. A third generation Coloradan, James grew up Littleton, CO. James holds a Masters degree in Architecture from University of Colorado Denver. He has worked for Greer Stafford Architects, before becoming an instructor for biodiesel productions at Santa Fe Community College. A longtime Western Slope resident James joined the TheraTogs team in 2016 and handles production and assembly. In his spare time James is a ceramicist and owns Timberline Rose Studios where he produces functional stoneware pottery. He also enjoys producing his own beer as well as processing his own bio-diesel fuel. Dr. Mark Lupa is currently Managing Director of High Country Venture, a venture capital firm in Boulder, Colorado, and has served as founding member of the Board of Directors of Taligen Therapeutics, Mosaic Bioscience, Oberon FMR, Sinopsys Surgical, FitBionic, and Endoshape. Dr. Lupa holds a B.S. from Northwestern University, an M. Phil. from the University of Sussex (England) in Biomedical Engineering and a PhD in Pharmacology from the University of Lund, Sweden. He conducted neuroscience research for fifteen years at institutions worldwide, including at the University of Colorado and UCSF, before bringing together the founding team of Tabernash Brewing, a craft brewery in Colorado. 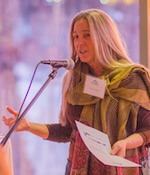 Thea is the Director of the Southwest Innovation Corridor (SWIC), a Telluride Foundation initiative. She also currently services her local community as a town trustee in Palisade, CO.
For the past 3 years, Thea was the Director of the Telluride Venture Accelerator (TVA). The momentum gained in building innovation-based companies in Telluride led to the successful award of 900k in federal, state and private funds to launch the SWIC initiative in 2016. 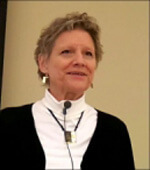 Prior to her work with the Telluride Foundation, Thea was the founding Director at Cal Poly San Luis Obispo, CA’s Center for Innovation and Entrepreneurship, led the development of the Entrepreneurship concentration at Colorado Mesa University and was the Executive Director of the Business Incubator Center in Grand Junction, CO from 1993-2006, a 5-time National Business Incubation Association award winning program. Thea has also gained extensive experience consulting internationally in entrepreneurial eco-system building including recent projects in the Middle East. She has coached and mentored thousands of entrepreneurs and teams from diverse industry sectors in designing sustainable business models and building quality companies, and worked with numerous communities interested in engaging these entrepreneurs through developing supportive eco-systems. 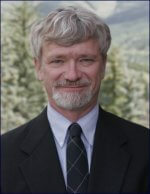 Bill Sonn is a graduate of Michigan State University and did graduate work in American History at the University of Denver. He has since earned multiple certifications in marketing, communications, administration and, not least, publishing. Bill was a cofounder and CEO of Interrobang, Inc (which produced two education news syndicates and an education newsletter eventually acquired by Tribune Media), and Forte Information Services (a corporate publishing firm specializing in the pharmaceutical industry). He has also served as Vice President of Business Development for The Business Word (a health care publishing company) and, most recently, as Senior Director of Marketing, Communications and Physician Relations for UCHealth. 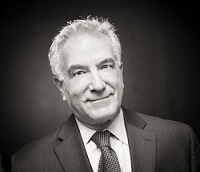 His clients since starting The Sonn Group in 2014 and joining Gelb Consulting as Senior Healthcare advisor have included Siegel Energy, Partners in Pediatrics, the Governor’s Office of Information Technology (Colorado), Ochsner Healthcare, FFG Retirement Counseling, Alphasite and RidgeTop Research. As a journalist and commentator, his writing has appeared in Becker’s Healthcare News and Fierce Healthcare Hospitals. In his more focused journalism days, it has also appeared in Outside, Chicago magazine, Columbia Journalism Review, The Progressive, Denver Business Journal, Boston Globe, Rocky Mountain News, The Progressive, What They Think, Physicians Practice, and The Seybold Report. He has edited numerous publications, including some he founded. His book, Paradigms Lost: the life and deaths of the printed word, was published in 2006 by Rowman & Littlefield/Scarecrow Press.